PUMA Releasing The Cell Venom Fresh Pack & Puma x Prps Collaboration This Month | RESPECT. 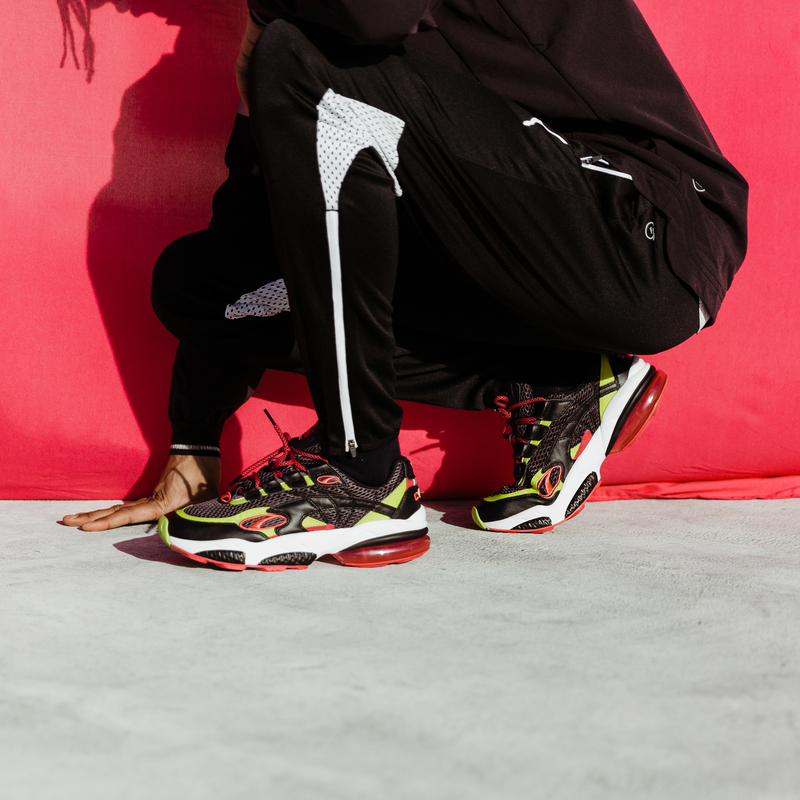 The CELL Venom Fresh Pack, will debut in stores in stores coming back in it’s original form with superior cushioning, a silhouette built with patented cell technology fuses the best of performance and street ready style. You can purchase a pair starting on Feb 12th at a set price of $110. Features of the cell venom include original puma cell details, a breathable mesh upper with suede and leather overlays. Foil puma branding on a lateral tab + heel. Original Puma cell branding, with a retro 90’s color pop and bright pink heel detailing. PUMA teams up with Elevated Denim/Streetwear brand, Prps, based in New York, to release the PUMA x Prps Collection this February. Prps, the original, made-in-Japan denim brand, was founded in 2002 based on the principles of perfectionism, persistence and most importantly purpose. PRPS, an acronym for Purpose, is best known for its artistic, urban playground roots, its meticulous attention to detail and its creative approach to denim design. The PUMA x Prps collaboration is the ultimate contemporary streetwear/athletic wear mashup and features two iconic PUMA sneaker styles—the Thunder ($180) and Clyde ($120). The Thunder, in Birch-Black-Indigo, features purple and silver hues with textured leather and hairy suede and The Clyde, in Indigo-Black, follows a similar color scheme with purple, metallic and black tones. The vintage Clyde shoe is inscribed with “Bruised Never Broken” the PRPS mantra.The collection will also include apparel with dual branding, edgy graphics, denim accents and elements of sports culture. Key pieces such as the PUMA x Prps Opulent Hoodie and The PUMA x Prps Opulent Camo Sweats feature the Prps logo and PUMA cat logo juxtaposed with purple and black camo for the ultimate streetwear look. This limited edition PUMA x Prps Collection will be sold on PUMA.com, www.prpsjeans.com. and in Neiman Marcus and Bloomingdales on Feb. 15.